I love my job! I am on a full-time, life-long painting adventure that has taken me across the great country of Canada to create more than 60 large murals. My wife Sharon Gibson and I have lived and worked at the Resort Village of Manitou Beach in Central Saskatchewan (in Canada for anyone with a sketchy knowledge of North American geography) for 18 years. 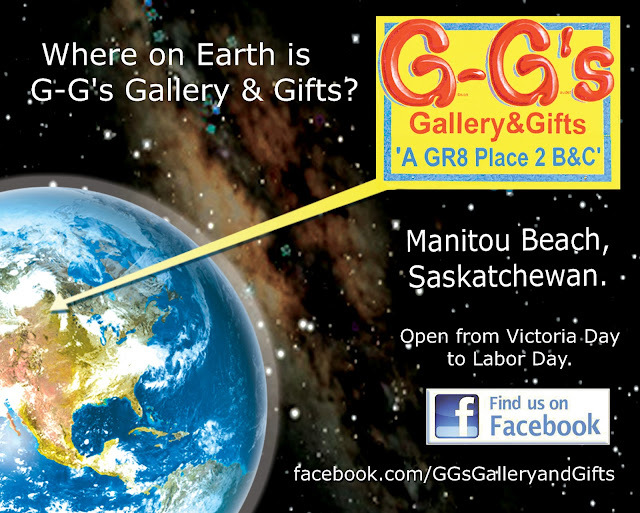 In the spring of 2010 we established "Gibson and Gaudet's Gallery & Gifts" (G'G's Gallery & Gifts) as an extension of our home here. We are in the process of establishing the business here and are interested in hosting a variety of shows with guest artists. Meticulously researched murals of almost any description, size and material(s) with an emphasis on professional quality paints and technique are a fave. I also create easel paintings with acrylics on canvas with a focus on landscapes, portraiture and historic renderings of Manitou Beach. My paintings reflect a desire to capture the nuanced moments that I see around me, infused with my own vision of what makes a painting 'good'. I strive to satisfy my personal quest to unravel the intricacies of the natural world in a way that makes sense as a painting, without the vain aspiration of photo-realism. My camera can handle that job quite nicely...but my camera does not have the ability to render an image equivalent to what I can paint. Alexi Zentner, author of 'Touch' told CBC Radio's 'The Next Chapter' host Shelagh Rogers something like "Art is 95% craft plus 5% magic. You can teach the craft part but not the magic. Either you're born with it or you're not." Click here to hear the interview. I include this here because it resonates so deeply with my own artistic life. 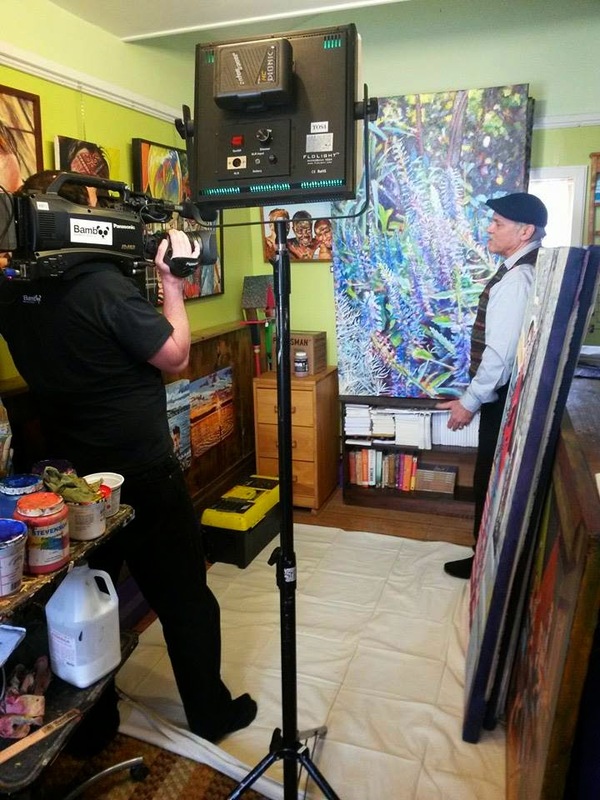 "Bamboo Shoots Inc." crew interviewing me in my studio, Feb. 19th, 2015.